On Saturday, January 6th, Trinity School of Medicine held the white coat ceremony for its first students of 2018. The event was presided over by Trinity dean, Dr. Linda Adkison, and held on the school's campus on St. Vincent with guests including the honorable Luke Browne, St. Vincent's minister of Health, Wellness, and the Environment and keynote speaker Dr. A. Cecil Cyrus. 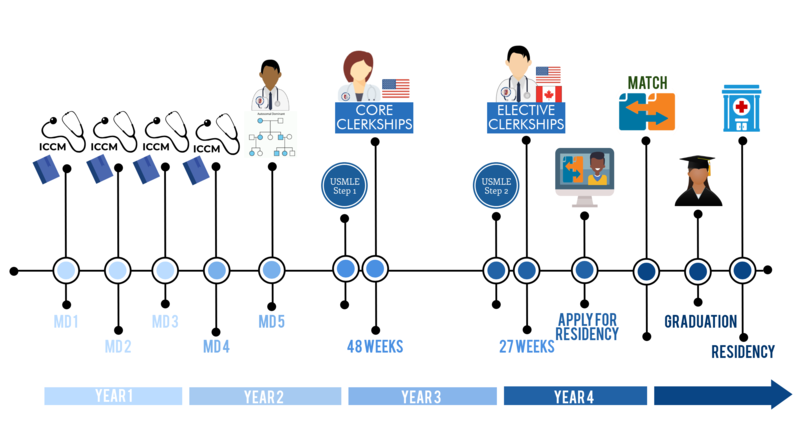 Trinity School of Medicine operates on a typical US four year medical school schedule with a key difference. Our students learn in 15-week trimesters (referred to as terms) with three "term 1" start opportunities: September, January, and May. Today, we're going to briefly dive into the advantages of that three-term schedule and help incoming applicants understand what their best option really is. Trinity School of Medicine has always prided itself on the strength and ambition of its students. So many of our future physicians come our way looking for something new; whether that's a unique learning environment built on support and a strong relationship with the faculty, a curriculum with an emphasis on clinical skills and service to patients, or just a fresh start this. We have so much to offer, so it delights us when each and every qualified student decides to take the next step in their medical education with us, with Trinity.